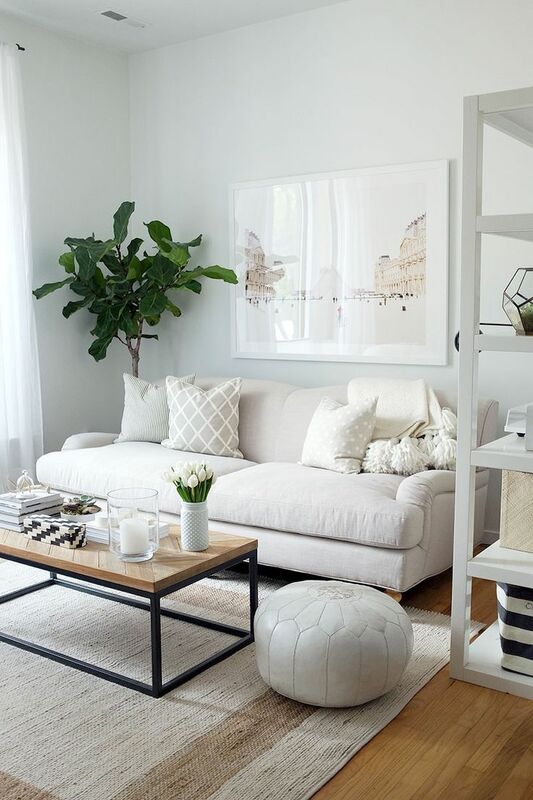 Neutral Living Rooms are so relaxing! If you aren't new to my site you know I love colour. 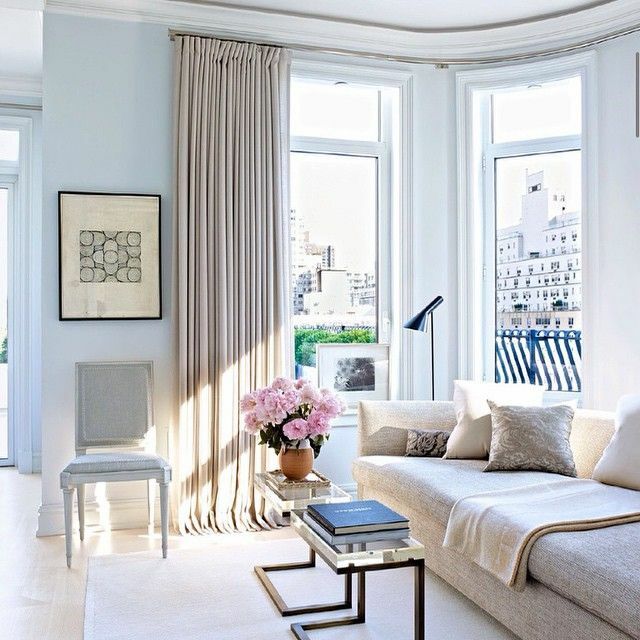 But, I also secretly adore white, beige, natural colour schemes. There is something so relaxing, and calming to the eyes. I mean, my site design is pretty neutral, would you not say? Well, it is contrasting anyhow. But these rooms have the contrast in their choice of materials and the effect of layered neutrals gives a relaxed vibe, which I love. It's how I approach decorating. I love this Carlisle Pottery Barn Couch. It's got a $5000 price tag here in Canada but it's stunning. And comfortable. Very comfortable. 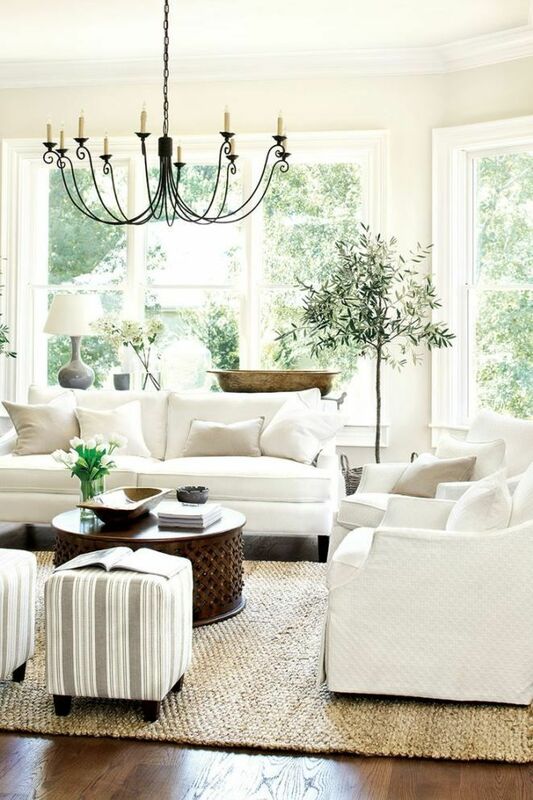 If you love neutrals, you should visit Pottery Barn, LOL. All this room needs is a little moulding detail on the wall, and done! Love this room. Again, it is the calmness that speaks to me. 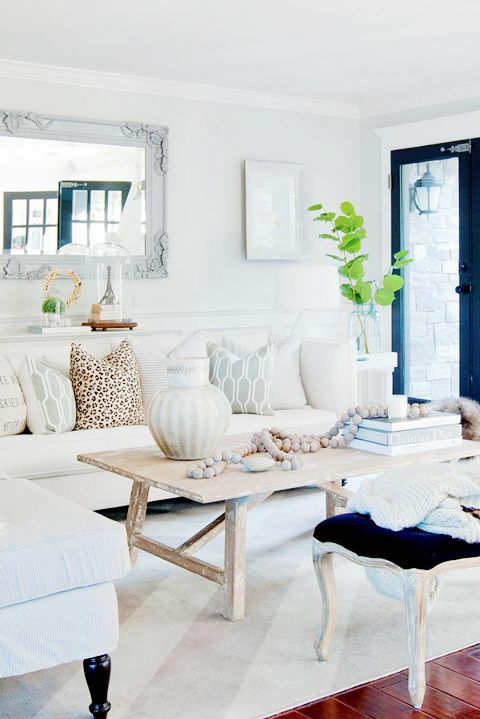 Even despite no rug and an all white scheme the room is anything but cold. 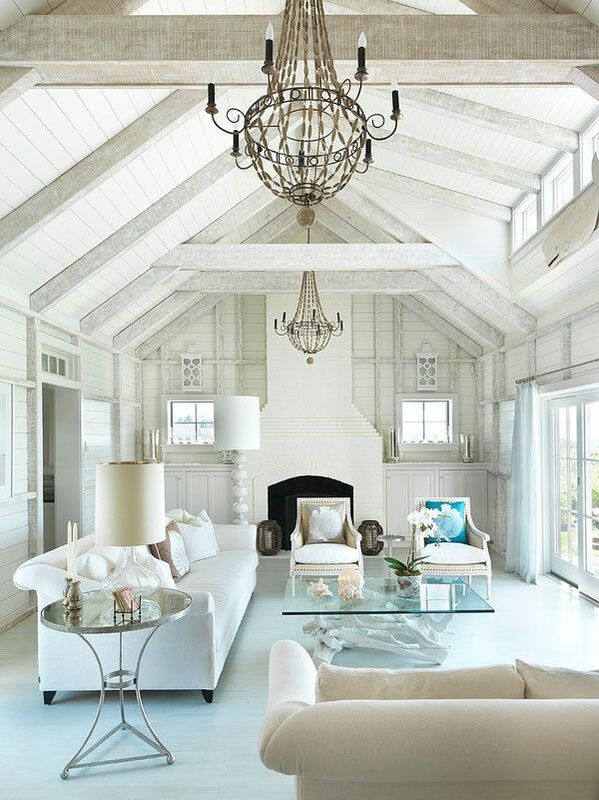 The linen fabric, wood beams, glass table all add to the ambiance. Layered neutral down pillows, the ultimate luxury. 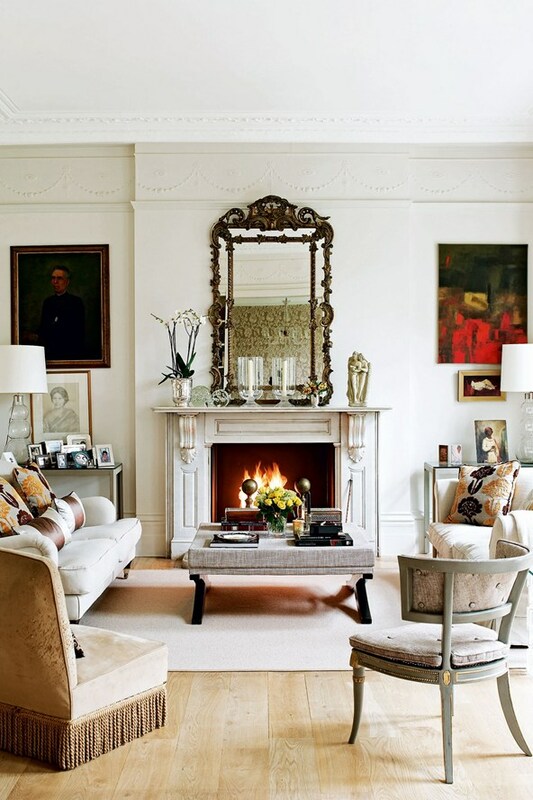 The crown mouldings, cornices, and chunky baseboards set the tone for a deliciously interesting layered neutral living room. Oh, and that fire! It may just be the amazing view but those beige curtains are stunning. Love how they cascade to the right. Or some of you may say puddle, LOL. A dash of pink sends this beige scheme to a sweet feminine side. I may need to amp up the glam in my living room this year. This room is inspiring me! 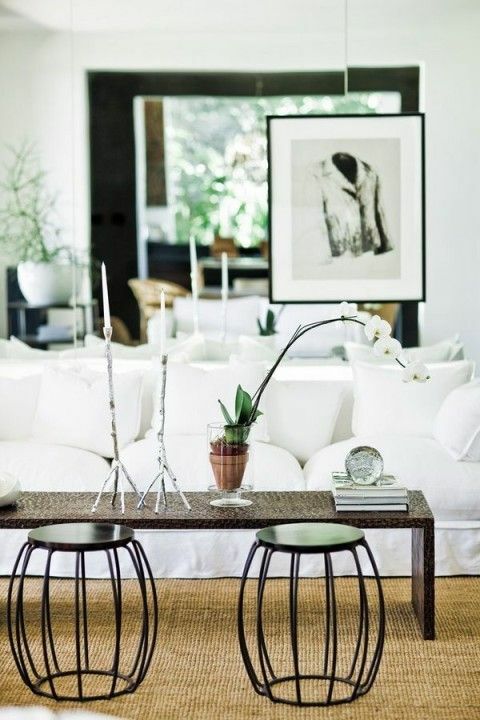 Texture is key to a neutral room from feeling too bland. I love, love, love this room. Just the right amount of contrast. Every room needs a touch of black for sure! That cheetah pillow is my favourite. A classic! What do you think? I know you all love neutral!! !